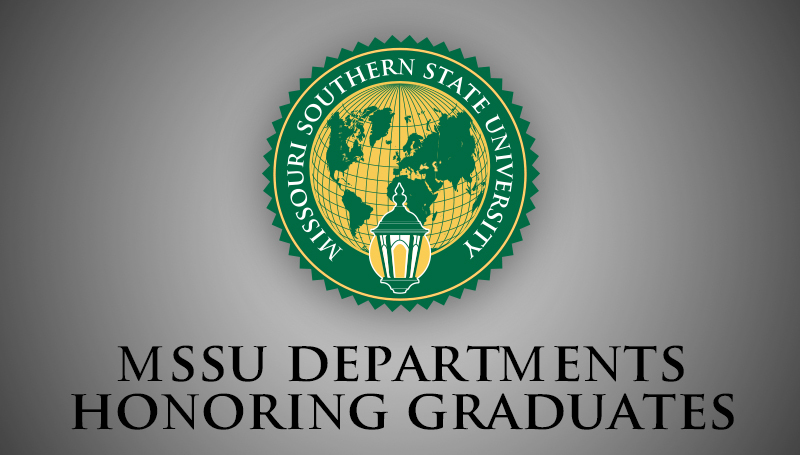 With Missouri Southern State University’s 70th commencement ceremonies right around the corner, individual departments and programs have been honoring their graduates with awards, special recognition and pinning ceremonies. Graduates from the Radiologic Technology Department held a graduation and awards ceremony on May 3, in Billingsly, while student-athletes were honored during an athletic banquet ceremony on May 7. Graduates from Missouri Southern’s Law Enforcement Academy will be honored at 8 a.m. Thursday, May 10, in the Criminal Justice Auditorium. A pinning ceremony for students graduating from the Dental Hygiene program will take place at 3 p.m. Friday, May 11, in Webster Hall’s Corley Auditorium. Students graduating from the Nursing program will be recognized during a pinning ceremony at 5:30 p.m. Friday, May 11, in Taylor Performing Arts Center. The 2018 Spring Commencement ceremonies are set for Saturday, May 12, in the Leggett & Platt Athletic Center. Graduates from the Schools of Arts & Sciences and Health Sciences will attend the 9:30 a.m. ceremony. The ceremony for the Schools of Business and Education will be at 1 p.m.